Opening a new chapter in your career begins with the required real estate license education to get your Alabama Real Estate License. Real Estate is an exciting and rewarding career and we have made completing the requirements very easy. Get started today and not only learn the requirements to pass the exam but learn what it will take to be successful. 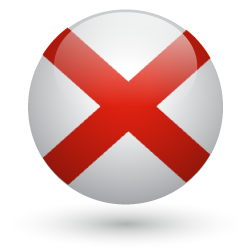 Alabama 60 Hour Prelicensing Course (online) - Real Estate Principles, Practices, Alabama License Law. *All of our prelicense courses are designed to be taken independently from any specific textbook. The online prelicensing course covers all the required material necessary to prepare you for the AL state licensing exam. The textbook included in this package is an excellent additional learning resource and provided as a supplemental reference only. How to become a Alabama Real Estate Salesperson in 6 Easy Steps. The Alabama Real Estate Commission requires 60 Hours to become a licensed salesperson. Once the required education has been completed, you only have 12 months to pass the exam. The Alabama Real Estate Commission uses AMP (Applied Measurement Professionals) Assessment Centers to administer the state exam. Make a reservation 9:00am to 1:30pm by calling 800-345-6559 or click here to go to AMP’s website. The exam is $75 and can be paid be credit card, cashier’s check or money order made payable to AMP. Once you pass the examination, you will receive a score report and instructions for applying for a license. The application for a Temporary Salesperson's license must be submitted to the Alabama Real Estate Commission within 90 days of passing the exam. Along with the application, a candidate must submit the documentation for minimum age, U.S. Citizenship, state residency, and high school completion. With 6 months of receiving your activetemporary license, you must complete the 30-hour post license course. The six month period begins on the first day of the month following issuance of the temporary license. With 12 months of receiving a temporary license, all active and inactive licensee's must have completed the 30-hour post license course and submitted the application for Permanent/Original Salesperson's License. The Original Salesperson's Application can be found on here.